The city of fun, of culture and of the hinterland, of the good life and of the exhibitions, all this and much more is Rimini. 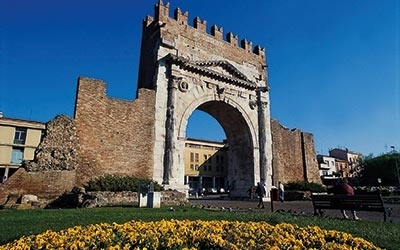 Rimini is one of the most well-known cities of the Romagna Riviera, for its beaches, the entertainment, the hinterland and also tourist events. The beach of Rimini is one of the most appreciated in Italy, for the many services that are offered: umbrellas, sun beds, entertainment for adults and children, beach bar, jacuzzi, small libraries on the sand and in the gym. 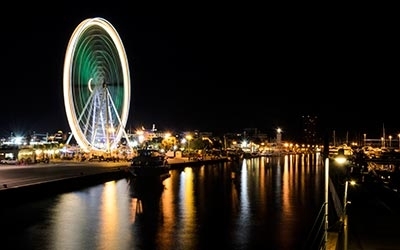 Among the entertainment in Rimini, in addition to the most famous nightclubs and disco pubs also the events that over the years have taken more and more ground as the famous Pink Night, Molo Street Parade, Calici sotto le Stelle and Al Meni. 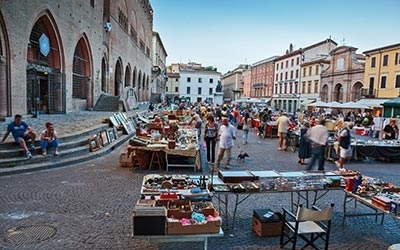 In Rimini, also the historic center and the hinterland are of great importance. The city centre offers some interesting museums and architectural works in the important historical as the Museum of the City, the Domus of the Surgeon, the Duomo, the Castel Sismondo and the Teatro Galli. The squares are then among the most beautiful and largest of the Riviera, from Piazza Tre Martiri to Piazza Cavour up to Piazza Ferrari.